? 2016 Fashion New Replacement Silicone Soft Wrist Band (No tracker) for Garmin vivofit JR Wireless Band Wristband Bracelet. Garmin vivofit JR Bands L and vivofit JR Bands XL: The bands can adjust to vivofit band XL and vivofit band L length to meet your wrist. 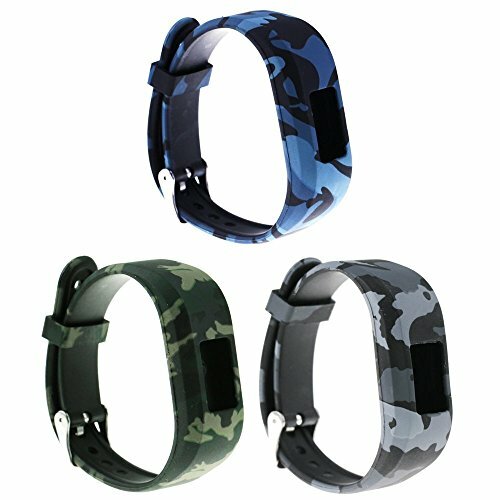 Package: 3x Replacement wrist band strap compatible with Garmin vivofit JR2 & JR & vivofit 3, item made by ECSEM, not by Garmin. (Garmin vivofit JR Tracker NOT included.) Lifetime Warranty: Unconditionally refund or resend with any quality problems, life-time friendly customer service. If you have any questions about this product by ECSEM, contact us by completing and submitting the form below. If you are looking for a specif part number, please include it with your message.